Legendary Pitcairn Island is known the world over for the welcoming and open hearted hospitality of its people. When you stay with one of Pitcairn's Accommodation Providers you will have the unique opportunity of experiencing the real everyday lives the people of Pitcairn, sharing their homes, culture, language and lifestyle. It's a great way to get to know what it's truly like living on one of the most remote islands in the world. Pitcairn Island currently has 12 registered accommodation providers offering guests a range of home stay and private accommodation. You can enjoy the full Pitcairn home stay experience - sharing all meals and amenities in the home of a local family or you can opt for a semi private chalet, or studio unit - with optional shared meals, or an entirely private 2 or 3 bedroom bungalow or chalet rental. Whatever your choice you can rest assured your hosts will take good care of you and your stay will be the most memorable holiday experience of your life. Accommodation rates range from US$80.00 - $200.00 per person/per day, depending on type, facilities and location and many hosts also offer weekly and monthly rates for long term visitors. Daily home stay accommodation rates cover full board, all meals and laundry. Home stay accommodation rates are charged on a per person/ per day basis, this being due to passenger vessels leaving in the late afternoon. A typical stay will therefore be quoted as four or eleven full days. Additional services like, telephone/ internet, activities and guided walking or quad bike tours can also be arranged with your hosts. Generally, guests pay their hosts in US$ cash on the last day of their visit. The Local Government Treasury Office provides credit card facilities - so you can draw cash as required. Contact the Pitcairn Islands Travel Coordinator if you require assistance with arranging your home stay accommodation. 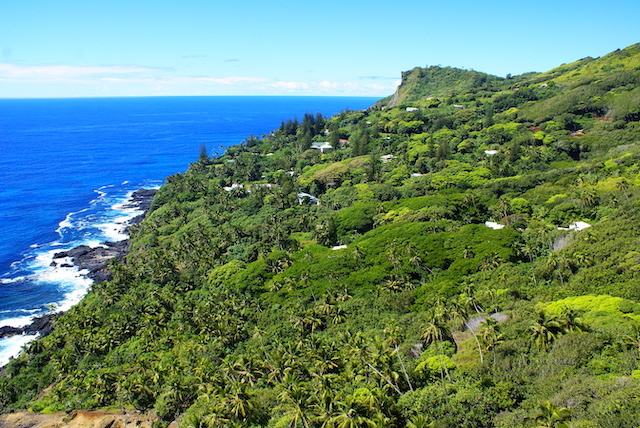 View all Private Rental Properties available to rent on Pitcairn.